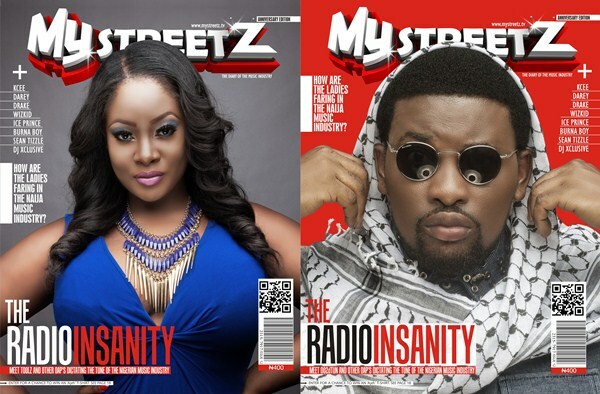 Nigerian Urban-Pop and entertainment publication Mystreetz Magazine have released their anniversary issue with popular Radio OAPs Tolu ‘Toolz’ Oniru and ‘Oladotun ‘Do2DTun’ Kayode making the first ever double edition. ‘When we decided to publish a monthly music magazine about a year ago, we knew we had to conquer the economic, intellectual and the basic human limitation (the fear of the unknown) to realize this goal’, the magazine’s publisher, Sesan Adeniji says. Makeup: Orsela (Toolz), Tinkzy Effect (DO2DTUN).